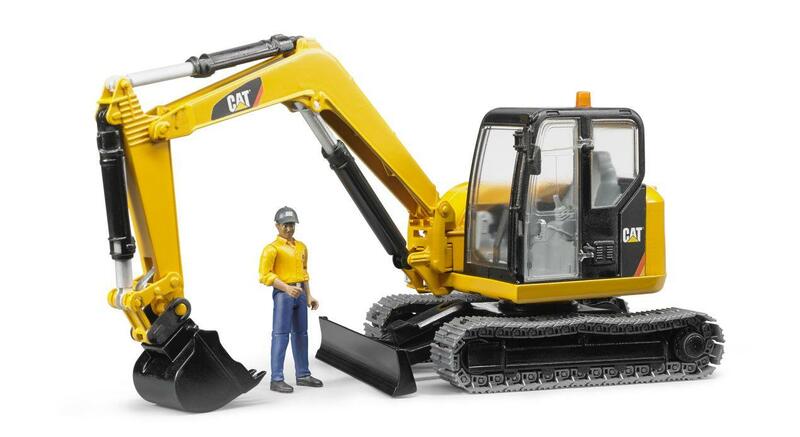 The Cat mini excavator is not really mini, but a real giant in its category. Thanks to its compact dimensions, it feels most at home in confined spaces. 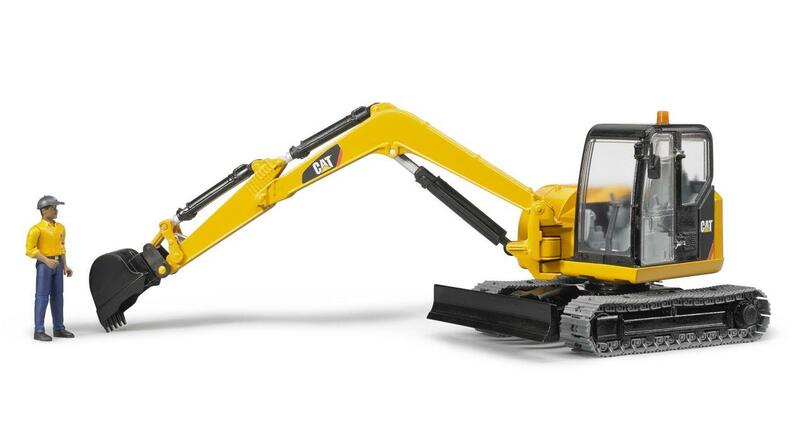 The excavator arm can also be swivelled towards the side to make it indispensable for landscaping and gardening as well as general building work where the vehicle efficiently moves small quantities of earth. 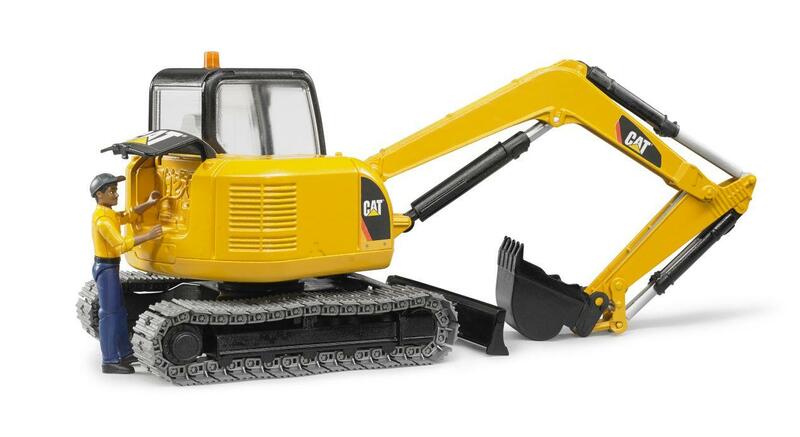 Thanks to its tracked chassis, it can also cope with challenging terrain. 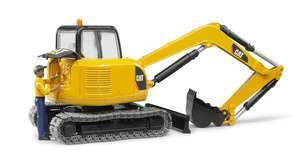 The chassis blade gives the vehicle more stability on loose ground, making it more suitable for simple levelling activities. 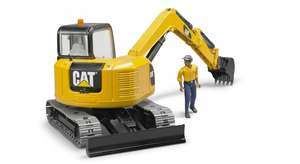 In addition to its realistic playing functions, the model comes with ample accessories. 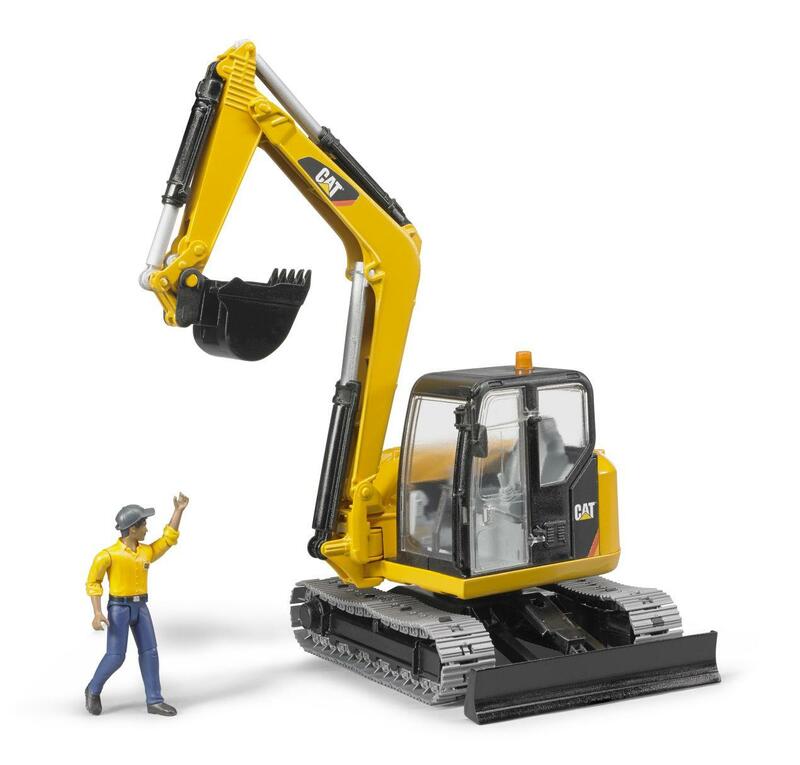 The excavator bucket is detachable. The bonnet at the rear opens, the cab is glazed and its door opens. The excavator body rotates by 360 degrees and the bucket arm by an additional 180 degrees.